Summer is here and it is perfect for grilling! 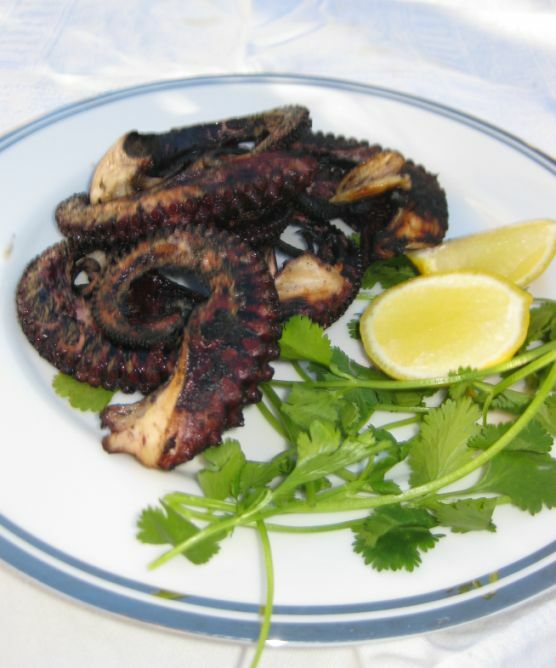 The last time I grilled some octopus I liked it so much that I decided to grill it again but this time instead of buying the octopus already cooked I decided to buy it raw and cook it myself. 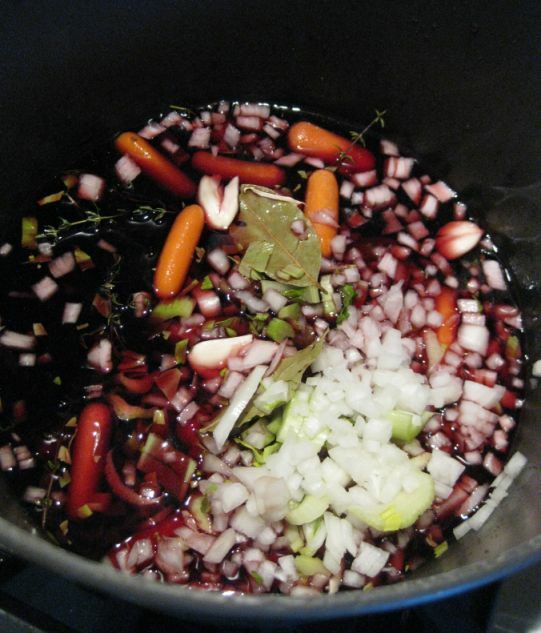 This is a really simple dish but it is very flavorful. 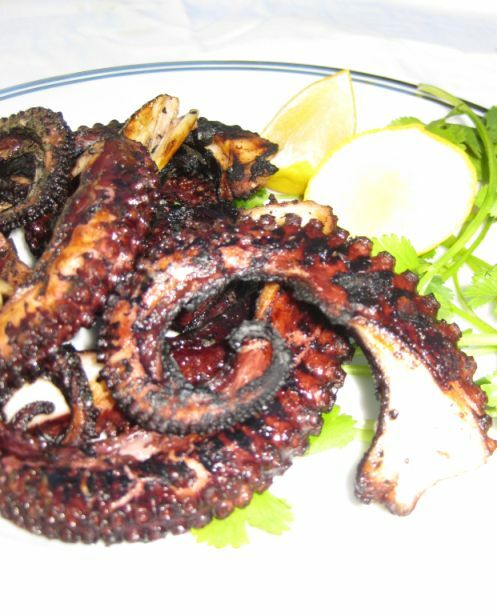 To keep the octopus tender, you have to start cooking it in cold water with a little acid, like red wine, added and gently simmer the octopus until barely done. If dropped into boiling water, leg leg curl up and becomes tough. 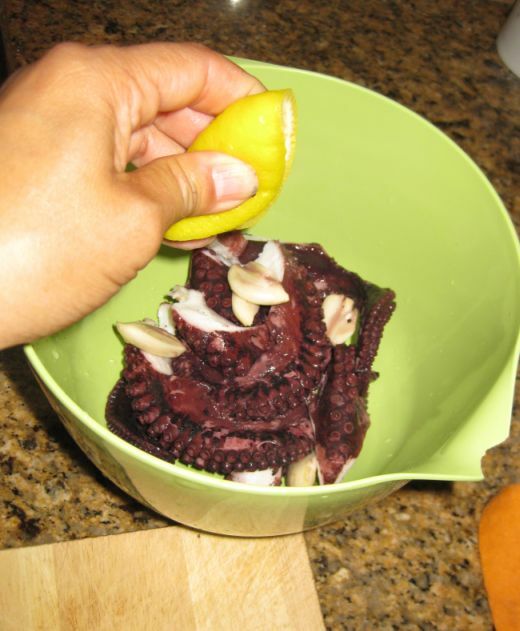 Slicing the octopus after cooking also helps keep the pieces tender and moist. 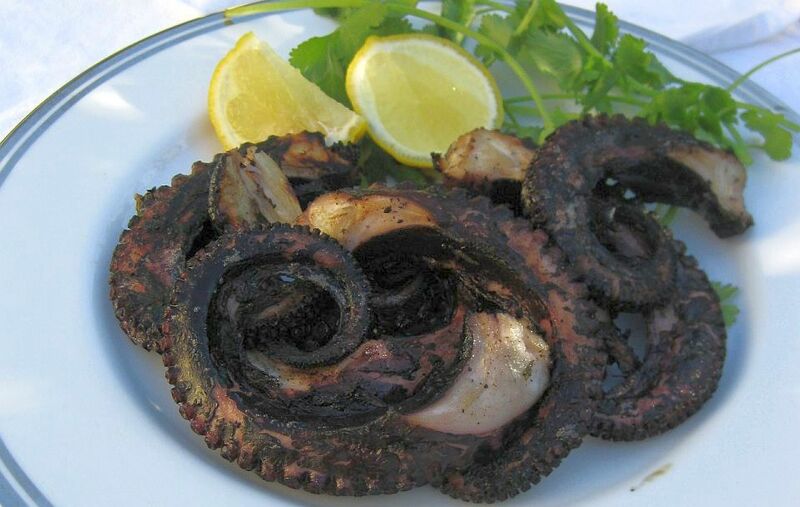 Beautiful dish of grilled octopus. I served with a simple salad and it is so tasty! 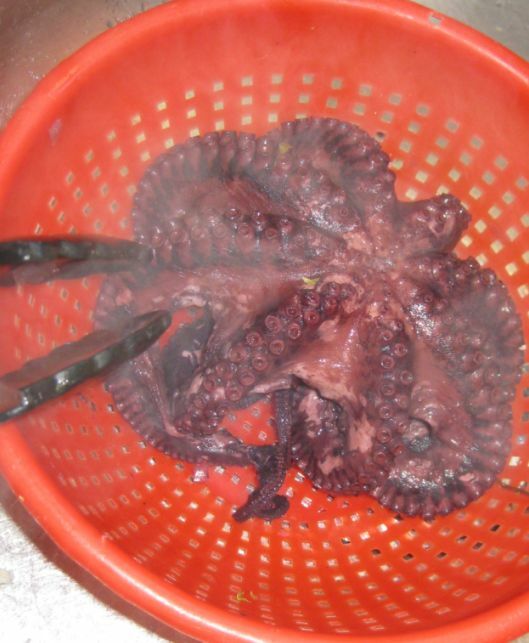 Rinse the octopus and cut off the head and set aside. Chopped all the vegetables and set aside. 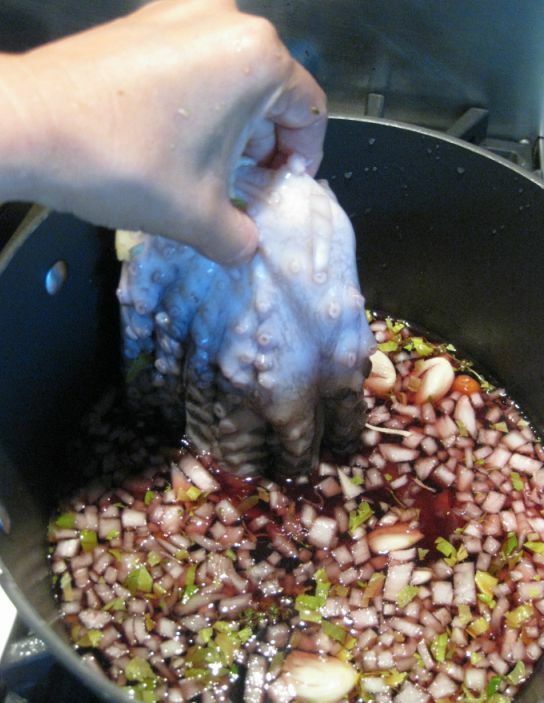 Pour the wine in a pot and add enough water to cover the octopus. 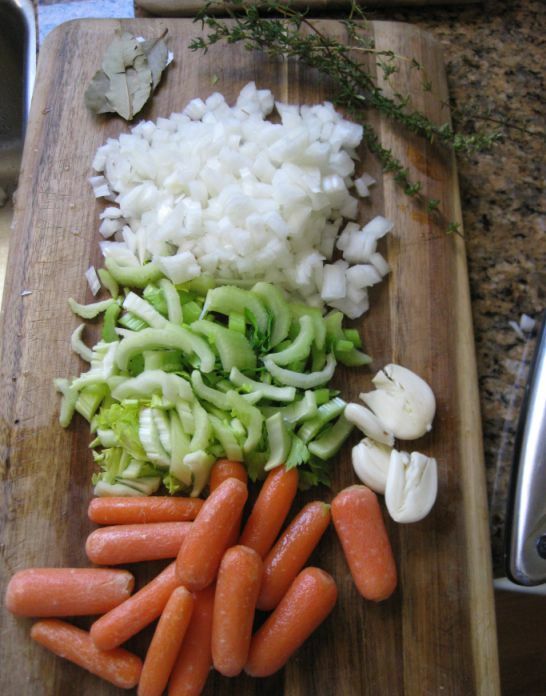 Add all the onion, carrot, celery, thyme, and bay leaf to the pot. 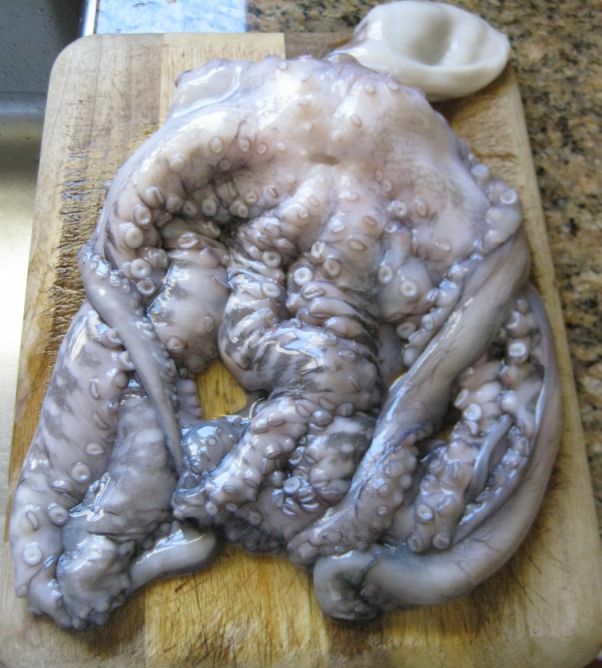 Add the octopus and Bring to gently simmer over medium heat and cook for about 20 to 30 minutes. 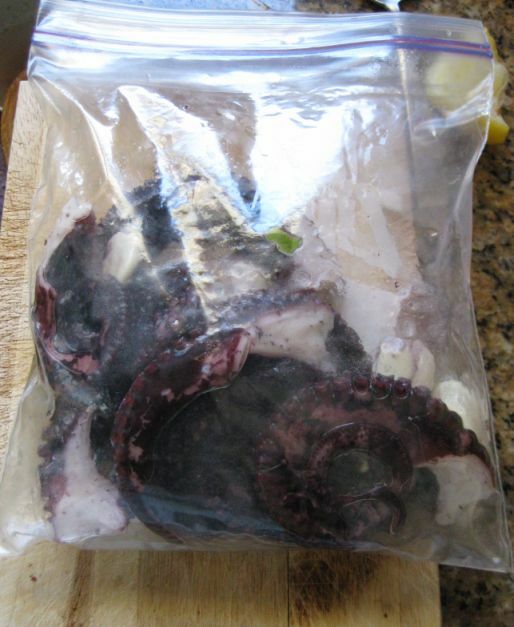 Remove the octopus and let is cool down. 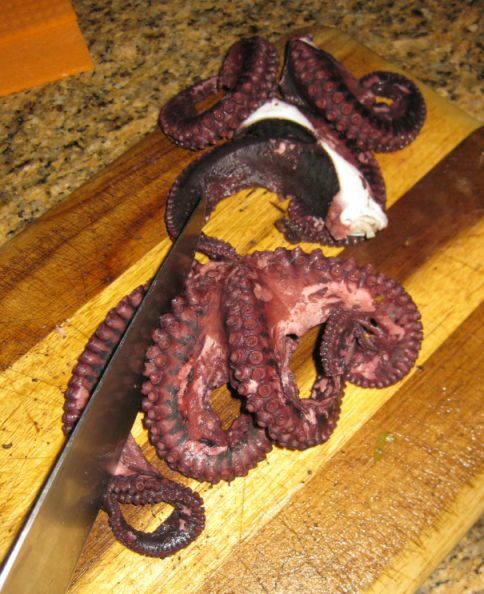 Cut the octopus into pieces. 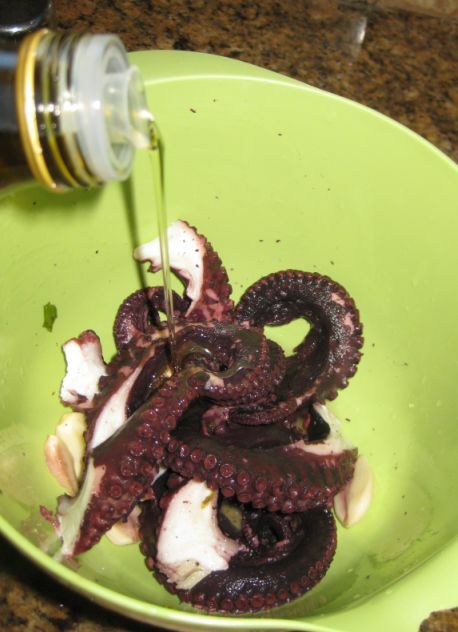 the pour the olive oil over the octopus. 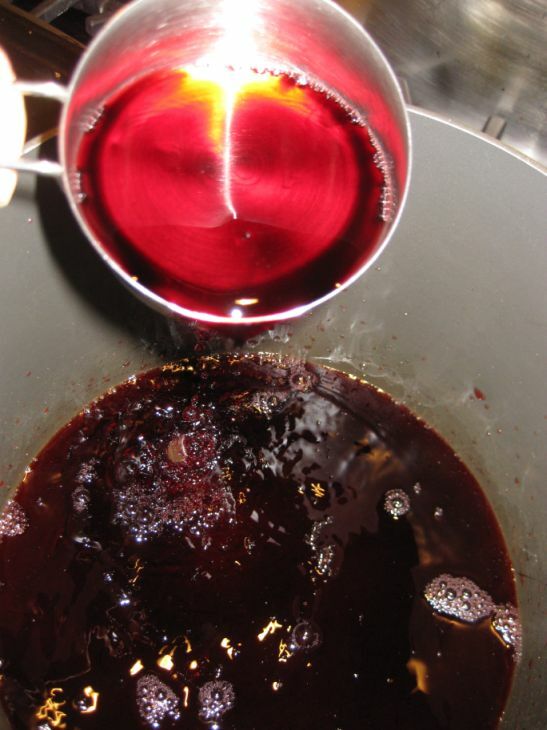 Transfer to re-sealable plastic bag and let it marinate for about 2 hours. 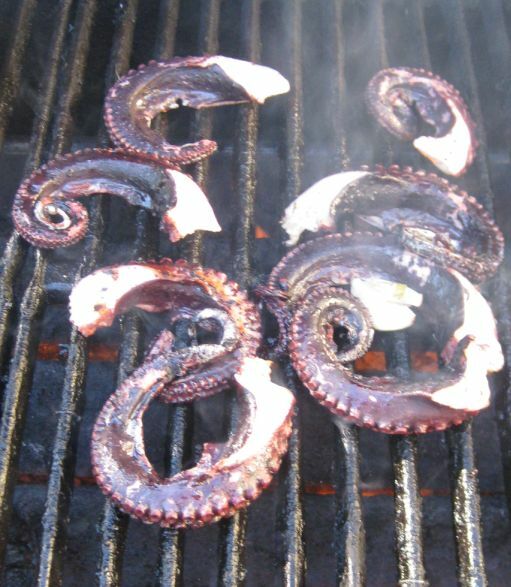 Turn on the grill on high and grill the octopus for about 4 to 5 minutes , turning once after 2 to 3 minutes until the pieces are browned in spots and nicely caramelized but not burned.